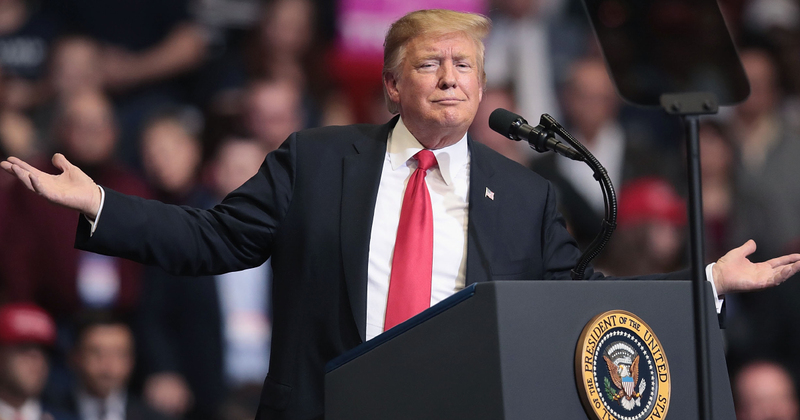 President Donald Trump’s 2020 campaign claimed Sunday it has raised more than $30 million in the first quarter of 2019, according to the Associated Press. That brings the president’s total money raised to $40.8 million — a whopping figure when compared to his opponents. Sen. Bernie Sanders was the top fundraiser of 2020 Democratic candidates, with more than $18 million raised in the first quarter. Sen. Kamala Harris came second with $12 million. President Barack Obama, for comparison, had less than $2 million cash at this point of the 2012 campaign, per the AP. The report notes that the Trump campaign claimed nearly 99% of the donations were of $200 or less.